The video streaming app was announced earlier this month and the same is aimed at smart TVs, streaming players like Apple TV and Amazon Fire TV. 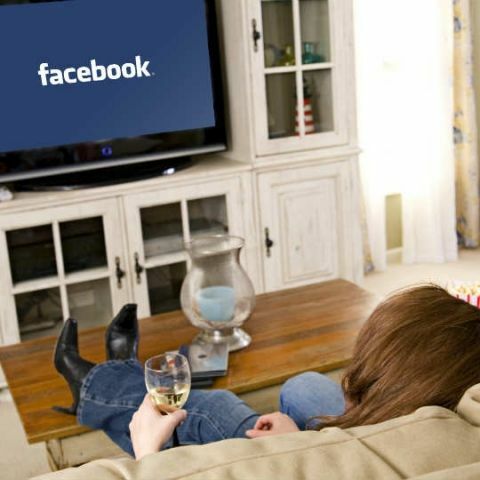 Facebook has launched its video streaming app for televisions and Samsung’s Smart TVs are the first to house the new application. The video streaming app was announced earlier this month and the same is aimed at smart TVs, streaming players like Apple TV and Amazon Fire TV. The app is Facebook’s answer to YouTube on TV, given the social network’s aggressive push towards video streaming. The Facebook videos app for Samsung Smart TVs will require a single sign-in, post which the app will display videos from users’ friends, pages they follow and videos recommended by Facebook. FB users can also catch up on videos saved to watch later, as well as revisit videos already watched, shared or uploaded. At launch, only Samsung TVs, such as the 2017 QLED TV, and other smart TVs in its portfolio, will support the videos app. Facebook had also recently revealed its plans to monetise videos on the platform and share a cut of the revenue with creators. As per reports, Facebook also has its sights set on YouTube’s most engaging content - music videos. Facebook is known to be wooing music labels, artists, publishers and industry executives for a deal that would let the social media platform’s users include copyright music in their creations, while the owner of the copyright gets a cut for the same. With these steps, Facebook is bringing the competition not only to video streaming mammoth YouTube, but also to streaming services such as Amazon Prime Video and Netflix. If Facebook does push for long-form TV content on the new videos platform for televisions, streaming services might have a difficult time taking on a rival with a billion plus users.